How to Generate TeamSupport API Token? 1. Go to the Admin Panel. 2. 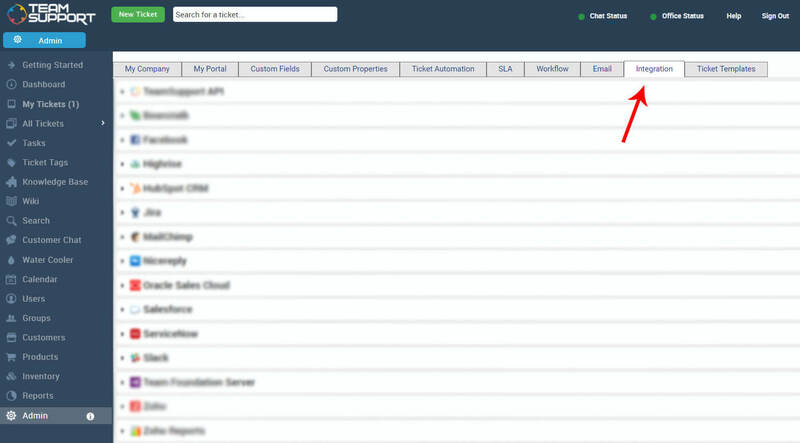 Click on the “Integrations” tab. 3. 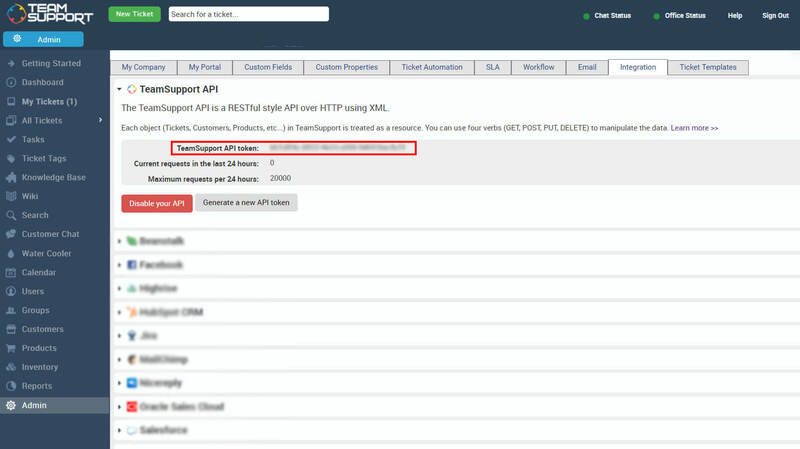 Expand the top selection labeled TeamSupport API.